Asus is gearing up to launch it’s Zenfone 5 line-up at the MWC 2018 later this month. The company has already sent out invites that suggest it is going to unveil the Zenfone 5 series as shown in the teaser image. 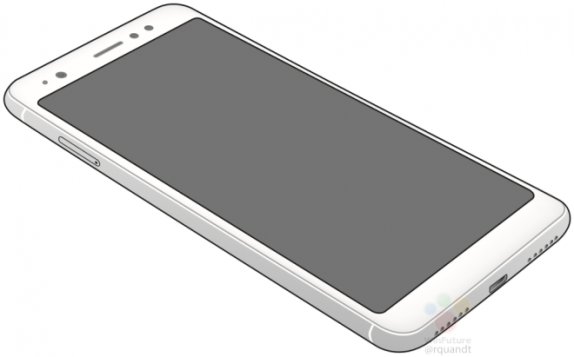 Now, the specs and other details of the Zenfone 5 have surfaced online via a leaked manual. The leaked manual of Asus phone bears the model number “ASUS X00PD” as reported by a German publication WinFuture. The manual also shows the design of the phone to some extent. Looks like Asus is also going with an 18:9 aspect ratio with curved edges display trend. The leaked images shows the dual rear cameras at the rear. Interestingly, the dual camera arrangement looks like the iPhone X. Along with the rear cameras, the fingerprint sensor is also placed at the rear. Up front, the device sports a 5.7 inch full HD+ 18:9 display with slightly curved edges. On the right side, it has volume rockers and the power button, while the SIM tray is placed on the left side. The top of the phone has the 3.5mm audio jack, while the micro USB port and speaker grills are present on the bottom. As per the Geekbench results, the Asus Zenfone 5 is expected to be powered by an octa-core Qualcomm Snapdragon 430 processor clocked at 1.4GHz. It will be coupled with 3GB RAM, so it might be a budget or mid-range phone. It is expected to run on Android 8.0 Oreo. Asus always launches three to four smartphones in its Zenfone series at a single time, so, this Zenfone 5 series won’t be an exception and we can expect at least 3 models of the Zenfone 5. Like earlier, there might be a regular variant, a plus variant, and a selfie-centric variant. More details will be revealed when the company unveils the phone at the MWC 2018 event.